Auto repair Lafayette neighbors trust the most is Central Automotive. With years of experience in car maintenance and auto repair services, our auto repair shop boasts state of the art technology, equipment, and tools. At Central Automotive, our team of professionals’ top priorities are your safety and customer satisfaction. Locate less than fifteen minutes away from Lafayette, Central Automotive has been serving Lafayette and the surrounding communities for over twenty years. Yet, our technology, equipment, and tools continue to change with the production of modern engines. Not only do we update our technologies, but even our ASE certified technicians continue to further their auto repair training. For our Lafayette vehicle owners, we recommend bringing your vehicle into our auto repair shop for preventive maintenance. Preventive maintenance, not only prolongs the life of vehicle, but it also keeps your car running smoothly for years to come. 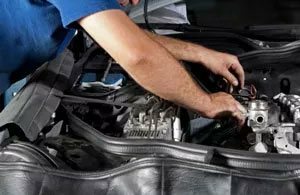 From even the most minor tune up to major auto repair services, Central Automotive Service Center provides the highest-quality auto repair services throughout Walnut Creek and the surrounding areas. Schedule an appointment today online. Located at 1425 Autocenter Drive in Walnut Creek CA, we look forward to seeing you!